Kūkai a.k.a Kōbō-Daishi (774 – ) brought esoteric Buddhism from China, who established Koyasan as a founder of Shingon school in Japan. It is believed that he is still alive in a mausoleum of Okunoin graveyard and continues to relieve people. Koyasan is the sacred place of Japanese Buddhism opened as a school of Shingon esoteric Buddhism which was established by Kobo Daishi in 816. It was registered as a World Heritage Site as “Sacred Place and Pilgrimage Road of Kii Mountains” in 2004 and also granted three stars in the Michelin Green Guide Japan in 2009. ◆Actually, there is no mountain top called Koyasan. Koyasan is a basin running 3 km north-south and 6 km east-west, surrounded by 1000m-high mountains. ◆Koyasan is situated in a valley atop a highland (altitude 815m). ◆Its scale is about 630 hectares. ◆Up to Hanasaka (437 m), it is a warm temperate evergreen forest zone (beech and mizunara), which turns into a cool temperate louse forest zone (fir tree or tsuga) from the vicinity of Mt. Gomadanzan(1372 m), Koyasan (815 m) is at the middle, and both plants are mixed in the area. 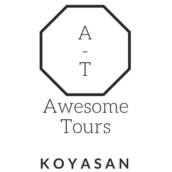 ◆Koyasan belongs to the area called Sohayaki region (Kii, Shikoku, Kyushu and the Pacific side) where where the most diverse plants in Japan can be seen. Examples of species that characterize it include Koyamaki, Togasawara, Silomoji and Jahazu hydrangea. In 1813, Sugi (Japanese cedar), Hinoki (Japanese cypress), Kouyamaki (umbrella pine), red pine, fir and Tsuga (Japanese hemlock) are determined as “Koya six woods,” as they are important material for building temples. In addition to the annual Buddhist ceremonies such as Kechienkanjyou (May 3-5 & Oct 1-3,) Kyushomieku (Lunar March 21) and candle festival (August 13,) other local festivals like Summer Bon Odori and autumn rice cake throwing festival are must-see. Various annual events are held, you can search calendar from the Koyasan Shukubo association and the website of Koyasan tourist office. For those coming through Osaka to Koyasan, we recommend the express train of Nankai Electric Railway. At Koyasan station, the bus waits for passengers according to the arrival time of the cable car, so they can get on the bus without waiting and head towards town center in about 10 minutes. There are two taxi companies in Koyasan. *Please note it’s not possible to get the taxi at night. It is a map of the whole area of Koyasan from Daimon in the west to Naka-no-hashi parking lot in the east. ◆ It is cooler than the city, humidity accumulates in the basin. Misty atmosphere of Koyasan is also exceptional. It is recommended because it will be a quiet period without congestion, the temples are blanketed in snow and air is also clear,. Temperatures will be lower 6 degrees colder than Tokyo and Osaka, so beware for the cold weather. Although the temperature is quite cold, It’s often windless at night in Koyasan. Following the fire festival in March and the cherry blossoms in April, the refreshing climate of May is also exceptional. Especially after mid May, it is less crowded and the best time to enjoy a variety of plants and flowers starting to bloom one after another. In summer you can have a pleasant time due to cool weather. Even during the hottest times like July and August, it’s rare to exceed 30 degrees. You can have a comfortable sleep without air conditioning. In June, the rainy season will make more opportunities to see the misty Koyasan, and you can also appreciate fireflies in Okuninin and the surrounding area of Koyasan. The best time to see autumn leaves is from mid-October to mid-November. The climate of September is refreshing without hot or cold, It is a relatively vacant period, so it’s also recommended as well as May. ◆In addition to Kongobuji, Garan and Okunoin, we also recommend Reihokan museum which often displays autographs that Kukai wrote himself and Daimon which used to be the entrance to Mt. Koya. ◆You can also do fortune-telling with huge beads in the pagoda beside Jyofuku-in and walk in the dark in the underground. ◆Koyasan Onsen Fukuchi-in: It is not possible to use only hot springs, you also have to stay or ask for lunch at the same time. Speaking of Koyasan, it is famous for Shojin dishes that means Buddhist vegetarian cuisine, especially sesame tofu and Koya tofu. * In some restaurants in Koyasan, even if it is indicated as Shojin, there are places where they use fish broth soup, so please check in advance if you worry. Soy sauce is not gluten free and is used in almost every dish in Japan. There is a gluten-free menu atEkoin temple in Koyasan. In the natural forest area, you may be able to see the forest of Koyasan that Kukai saw. ◆Goshuin is a stamp that is given at a shrine or a temple. In Koyasan, you can get Goshuin in almost every temple. It is usually stamped on a ‘goshuin-cho’ (goshuin note) and you can buy the note in the temples or stationery shops. ◆There are also Shichifukujin-meguri (a tour of the Seven Deities of Good Fortune) in Koyasan. It’s necessary to buy a special paper board in one of the temples shown below to collect the stamps. *Credit card cashing service is available at the post office and JA Bank. Place: Located in the east of Koyasan in front of Nakanohashi parking. The nearest bus stop is Bus stop number 14. ◆Some accommodations have service to store baggage before check-in and after check-out. Please contact them in advance. As whole Koyasan area is privately owned by Kongobuji, it’s forbidden to use drones. Please make contact with Kongobuji for more information. Koyasan guesthuose Kokuu is first guesthouse in Koyasan, allowing travelers and pilgrims from all over the world to visit this beautiful place at an affordable price. 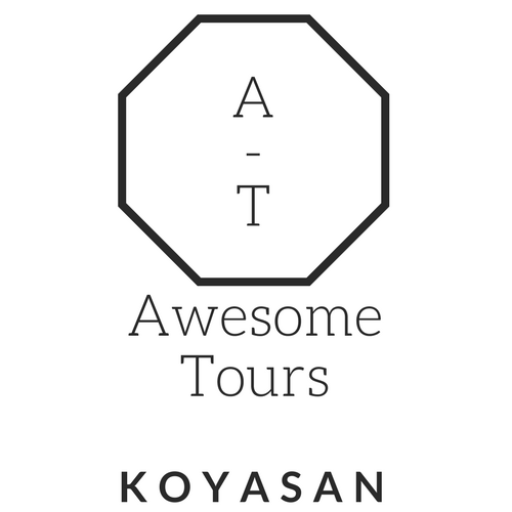 An oasis of simple comfort, we created Koyasan Guesthouse Kokuu in a modern style that stays true to the essence of this sacred mountain. We welcome travelers from all over the world who are searching for a friendly and relaxed environment. We are locals running the guesthouse and thus can offer you a good insight into this sacred area, as well as some insiders tips on the best places to go.